Gundam Narrative is a poorly paced romp through space and time – and I love it. 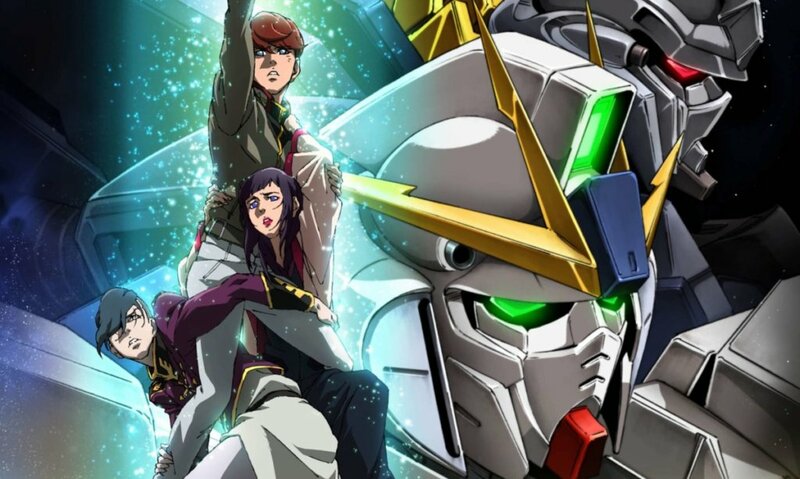 In February 2019, Gundam fans in the U.S. were treated to a theatrical release of the newest addition to the franchise’s already mecha-sized resume with Gundam Narrative. This psycho frame-fueled menagerie of nonsense managed to do something I didn’t think was possible: it wasn’t just Gundam, it was full-blown anime. A promotional poster for “Gundam Narrative” that practically became a meme overnight. Now, before you clap back at that statement with anything involving burning or fingers, let me explain. As many of us know, the Gundam universe is divided into several alternate timelines. It’s in those subsequent timelines that notable series like G Gundam, the Wing boys, and Seed exist, creating their own independent worlds and lore. However, until the 90s, there was only one timeline. 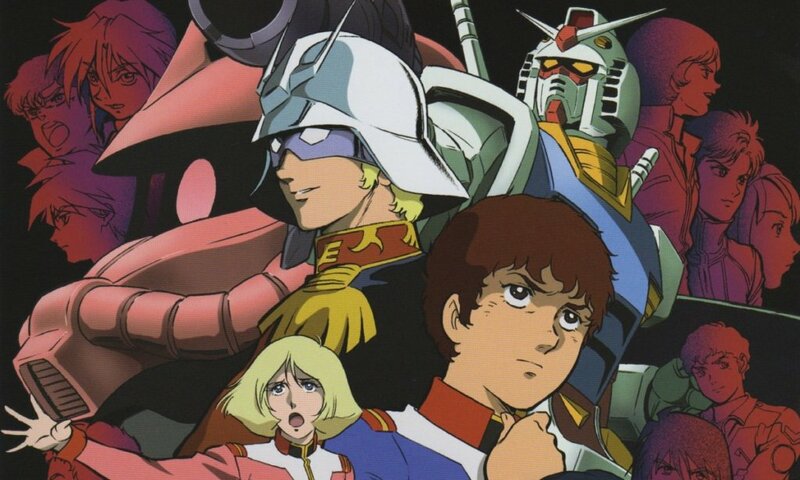 A look at the cast of “Mobile Suit Gundam,” set in U.C. 0079. It’s in this era that Gundam Narrative takes place—the same as the original universe created by Yoshiyuki Tomino in 1979. In its day, Mobile Suit Gundam made headlines because of its mature, semi-scientific approach to mecha anime—a stark contrast to the city-crushing kaiju battles of the Super Robot shows people had grown used to. Instead of indestructible alloys and ancient magic, Tomino’s mechs had guns, and those guns had bullets, and those bullets tore through other mechs piloted by the “good guys.” Mobile Suit Gundam dealt with the realities of war and loss, hiding those heavy topics behind a flashy guise of even heavier robots slapping each other with laser swords. Before diving into Narrative, let’s summarize the events that have taken place in the Universal Century thus far. Basically, overpopulation on earth led to space colonization, and those space colonies were exploited by Earth, which eventually led to a war between the two. In this conflict, new weapons were developed that would forever alter mankind’s approach to battle: pilotable anthropomorphic robots known as “mobile suits.” As technology progresses, the Earth develops what would be the pinnacle of that weaponry: the Gundam. 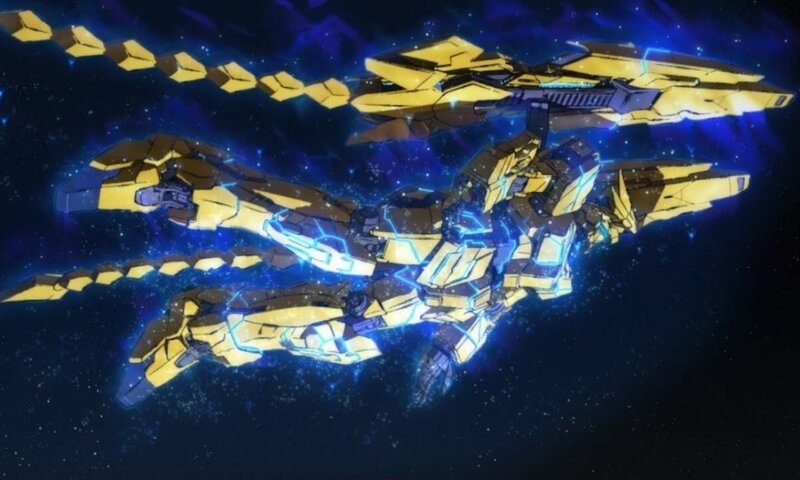 After countless battles, a space colony crashing into Australia, and the introduction of a new type of human created by mankind’s expansion into the reaches of space (creatively labeled as “Newtypes”), we are taken from a simple show about a teenager’s coming-of-age story in the war-torn future, and catapulted into an epic tale that deals with psychic powers, the grey areas between “good” and “evil,” and how mankind would deal with the evolution of their own species. 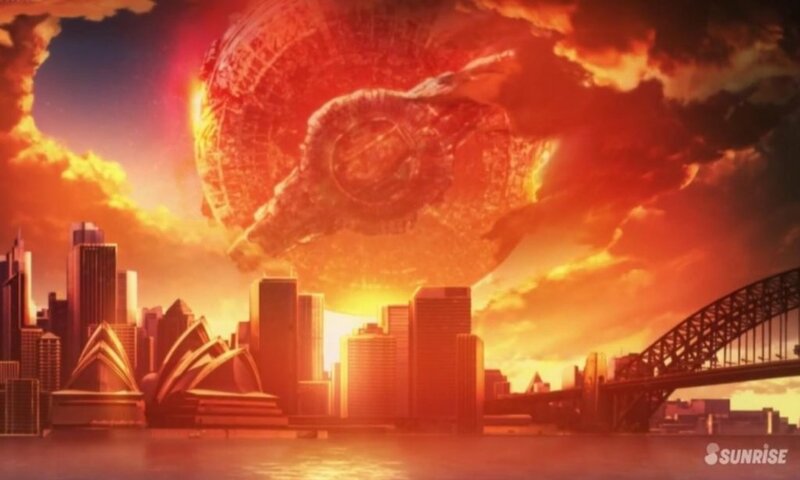 Side 2, a space colony, crashes into Sydney, Australia. Woof. There’s so much more to tell, but that will have to do for now. Following two recent OVA series, Gundam Unicorn (2014) and Gundam: The Origin (2015), there hasn’t been a completely original UC Gundam film since Gundam F91, 27 years ago—until now. Gundam Narrative takes place one year after the buffet of laser beams that was the end of Gundam Unicorn. In a surprising-but-not-when-you-think-about-it turn of events, absolutely nothing has changed since Unicorn’s last episode, and I think that’s hilarious. Relations between Zeon and the Earth Federation are still tense, and we’re introduced to the mysterious third and final Unicorn Gundam model: Phenex. To fully understand the numerous callbacks and allusions riddled throughout Narrative’s hour-and-a-half runtime, it’s safe to say you’ll have to do some homework. As a longtime fan of Gundam, this is one of the worst aspects of the film, and the series as a whole. Imagine someone jumping into Kingdom Hearts 3 without having played any of the 11 prior games, and that’s about the same level of confusion you’d expect from a UC newcomer. As a longtime fan of the series, I was hoping Gundam NT would give my less-acquainted friends a palatable entry point into the story. Said story begins with a flashy battle between the Narrative Gundam (LOOK. THE NAME.) and Phenex, after which the latter escapes and we’re introduced to our main cast: Jona Basta, Michelle Luio, and Rita Bernal—and I legitimately just had to Google their names, if that’s any indicator of how memorable their stories were. 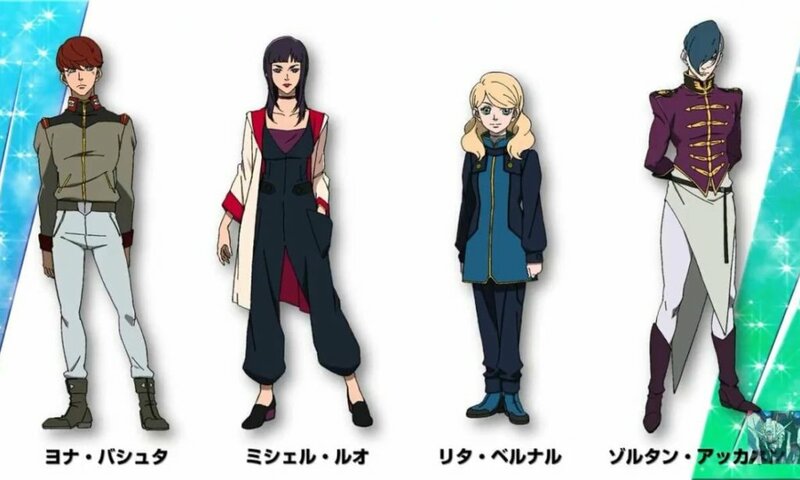 (left to right) Jona, Michelle, Rita and Zoltan. Jona, the obligatory “protagonist with a past,” sits somewhere between being an underdog and an ace pilot. We know we should care about his really weird childhood, but I stopped trying to care about that after the third or fourth unnecessary flashback. He fills the role of a familiar hero, emulating qualities of Amuro or Banagher before him, but there’s a fine line between being familiar and being forgettable, and the dude is quickly overshadowed by his two ever-slightly more interesting friends. Michelle is a garbage person seeking redemption for her garbage actions. Does she find it? I honestly couldn’t tell you. And Rita, despite being perfect and tragic, is treated less like a person and more like a force of nature, devoid of anything human or relatable. This, I think, is Narrative’s biggest disappointment. With all of the ingredients for an incredibly powerful female pilot and hero at their disposal (something that’s STILL sorely missing from the decades-old franchise), the creators instead decided to have Rita lend Jona her power and fall by the wayside. But, boy oh boy, we’re not done yet. Please meet my new best friend, Zoltan “Edge Lord” Akkanen. Zoltan Akkanen, the unstable Char Aznable clone whom some genius gave an army to. This angsty anger fest of an antagonist is like if Tommy Wiseau’s “The Room” were an anime character. He succinctly combines every evil anime trope, from daddy issues to the side swoop, into one beautiful disaster of a boy, and I love him. After experiencing four stages of grief in this movie’s first half, Zoltan’s unabashed nonsense plot finally ferried me into acceptance of what Narrative was: fun. At this point, I could bicker and moan about how Narrative is “an apple that fell extremely far from the UC tree” blah blah blah, but that negativity isn’t something I want to normalize when a cartoon doesn’t live up to my subjective, self-imposed hype (unless it’s “Darling in the Franxx,” which can burn squarely in hell). Instead, I focused on what the film did have—space wizards, time travel, and a final battle theme that slaps from here to Side 3. While I enjoyed Narrative overall, albeit for unexpected reasons, I was more excited to walk into a crowded movie theater to see it. Gundam seems to be more popular than ever, and I’m hoping that supply follows demand. 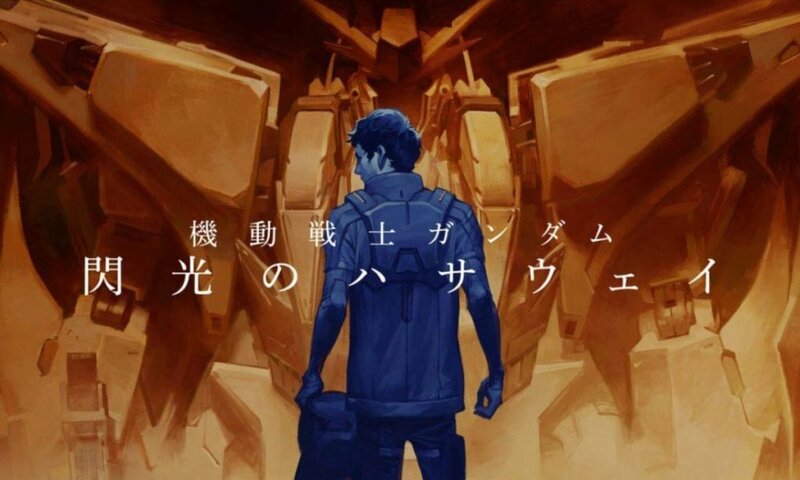 There are so, so many other Gundam stories that haven’t been told yet on the big screen *cough* Endless Waltz: Glory of Losers *cough*, and Narrative actually helped set the stage for the movie trilogy coming later this year: Gundam: Hathaway’s Flash. Adapted from a novel series of the same name that takes place roughly six years after the events of Narrative, Hathaway’s Flash tells a darker story through the eyes of Hathaway Noa, son of Mobile Suit Gundam’s Bright Noa. If thicc mechs are your cup of tea, strap in, baby. This side story has some of my favorite mech designs of all time, and I can’t wait for the new Gunpla to put me in a financial crisis. Our first look at the upcoming “Hathaway’s Flash,” set to release this fall. Speaking of Gunpla, I’ve been staring at this, ironically armless, Heavyarms torso on my desk, and it’s helped me realize my own hypocrisy—I love a Gundam with guns for orifices that’s piloted by a emotionless clown, yet I can’t get down with Narrative being about a little psychic space fun? Look, Gundam Narrative is a chill time. Check it out if it sounds neat. Or don’t. I’m just words on a screen. Robots are awesome. Nothing is real.